April 11, 2019 | Mighty 1090, where are you? Video games and vaping: Congressman Duncan Hunter, Jr. at WORK? Time for responsible leadership in the 50th Cong. Dist. It’s the equivalent of saying “the dog ate my homework.” That’s the excuse Duncan Hunter Jr. gives regarding paying for video games with his campaign financing account. Embarrassments from Hunter, Jr., Escondido’s, 50th Congressional District representative, continue to accumulate. In just a few weeks, Hunter, Jr. has gone from supporting Donald Trump, to smoking an e-cigarette at a congressional hearing, and most recently to defending his use of campaign funds to play video games. “Even congressmen can blow dank clouds,” Gawker said about Hunter’s behavior at a House Transportation Committee meeting this year. This adolescent behavior is unbecoming for a member of the House of Representatives. Hunter needs to grow up and do the work he was elected to do on behalf of his constituents. That’s why I’m running against him. Let me introduce myself. 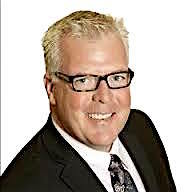 I’m an Escondido realtor and small business owner who announced his congressional candidacy last month. I’ve received the official endorsement from the San Diego County Democratic Party along with the likes of incumbent Democratic representatives Juan Vargas in the 51st, Scott Peters in the 52nd, Susan Davis in the 53rd and fellow candidate Douglas Applegate in the 49th running against Darryl “Benghazi Hearings” Issa, the wealthiest member of Congress. Voters are frustrated and have lost faith in a Congress that is adrift and disconnected from the needs of the American people. My campaign theme is “reigniting the American dream.” This is my vision for a revitalized economy: We need to sound a wakeup call to reinvest in American infrastructure, reinforce technology and channel agricultural innovation to create a strong base for new jobs. In other words, we need to rebuild the middle class. Contrast your personal condition with that of Hunter, Jr., who along with his father, Duncan Hunter, Sr., represent a corrupt Washington dynastic order that believes you owe them a living. Hunter, Sr. was a congressman from 1993 to 2009, succeeded by his son, Hunter Jr. through this year. Sounds like the junior varsity version of the Bush family. Not quite like father like son, though, as the senior Hunter probably wouldn’t have been caught dead playing video games, or vaporizing e-cigarettes on taxpayer dollars. Hunter blowing smoke, er vapor, at a recent House Transportation Committee meeting. The Federal Election Commission this week questioned Hunter Jr. about his use of campaign funds to pay for video games, not once, but 68 times. Paid back by whom; you, me and fellow taxpayers? Come on, man. 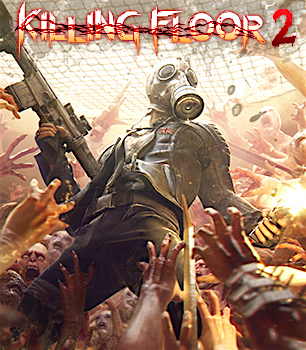 Special “weekend deal” at Steam video games this week. Hunter Jr. spent over $1,300 of campaign contributions — contrary to House ethics rules — on video games last year. Hunter Jr., supposedly a responsible and serious representative, has defended violent video games even in the aftermath of mass shootings. He wrote an opinion piece in Politico opposing regulating video games that were too violent. This wasn’t the first time he has been questioned by the FEC for improper use of campaign fun(d)s. The FEC last September questioned his payment of $1,650 to Christian Unified Schools of El Cajon. Continuing Hunter’s pattern of misbehavior is his vaping during a Congressional Transportation Committee meeting last February. Gawker ran the story under the headline “Oh my God, a U.S. congressman just vaped while legislating.” Here’s the link http://gawker.com/oh-my-god-a-u-s-congressman-just-vaped-while-legislat-1758511544. Is this the kind of person you want representing you in Congress? Hunter Jr. at his congressional office with vaporizer as shown on Dr.VapeIt.com with the headline “Rep. Duncan Hunter — Vaping Hero.” http://drvapeit.com/rep-duncan-hunter-vaping-hero/. Hunter Jr. repeatedly has called for deep cuts to Social Security and Medicare and believes that it is not the national government’s responsibility to stimulate jobs. I support Social Security and Medicare along with providing the best quality care for all veterans. Hunter Jr. has voted “no” on modifying bankruptcy rules to avoid mortgage foreclosures and has supported additional tax cuts for the wealthy. Moreover, Hunter Jr. calls Citizens United, the “right decision,” even though it has unleashed unlimited contributions to politicians, often with no donor reporting requirements. I want a Supreme Court with justices appointed by someone other than Donald Trump. Hunter Jr. was the first congressman to stump for Trump. Only six other members of Congress have joined him in that dubious enterprise. Trump this week named him co-chairman of his congressional election committee. Time for a change. I’m ready to be the agent of that change. • Providing one year of free tuition for all those seeking vocational education, so thhe talent for rebuilding America will be available. • Reducing student debt, so the onerous 7 percent average interest rate on that debit is closer to the 3 percent government debt rate. • Supporting a living minimum wage of $15 per hour, so American workers have the opportunity to make ends meet. • Safeguarding Social Security and Medicare. For more information on my campaign, visit www.patrickmalloyforcongress.com or email info@patrickmalloyforcongress.com. Issa’s $1 million in leftover campaign funds? 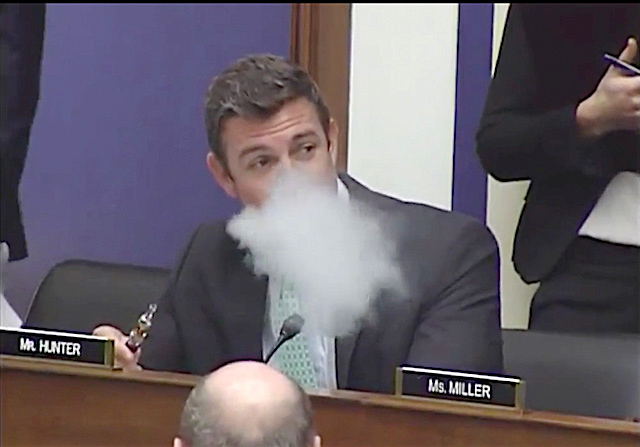 Say it ain’t so, Congressman Hunter Jr.
Be the first to comment on "Video games and vaping: Congressman Duncan Hunter, Jr. at WORK?" Mighty 1090, where are you?